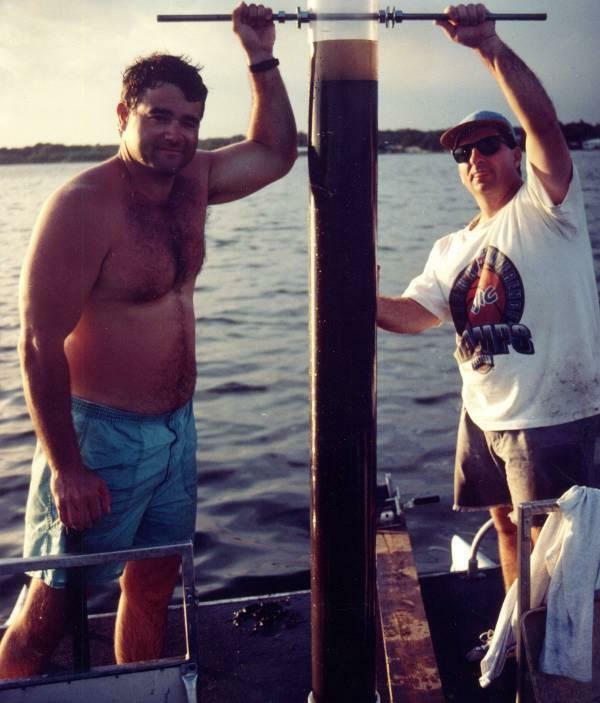 A sediment inactivation study was conducted during 1992 to evaluate sediment characteristics and delineate areas within Lake Davis with high potential for sediment nutrient release. 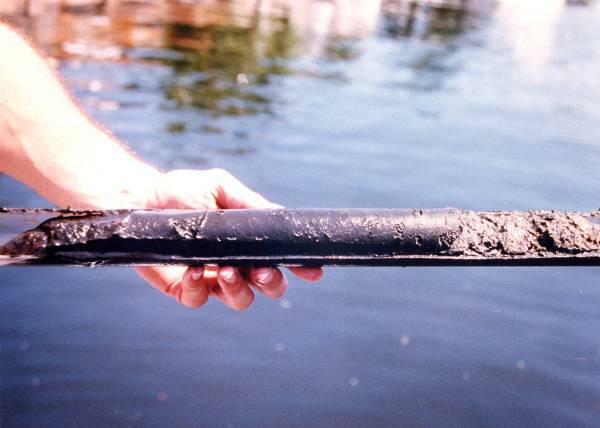 Sediment core samples were collected from the lake and carried through the modified extraction procedure of Chang and Jackson to speciate sediment phosphorus into saloid and iron-bound phosphorus associations which are generally considered to be available for mobilization and release into the water column from anaerobic sediments. A sediment concentration isopleth map was developed for Lake Davis based upon the available saloid and iron-bound phosphorus associations. 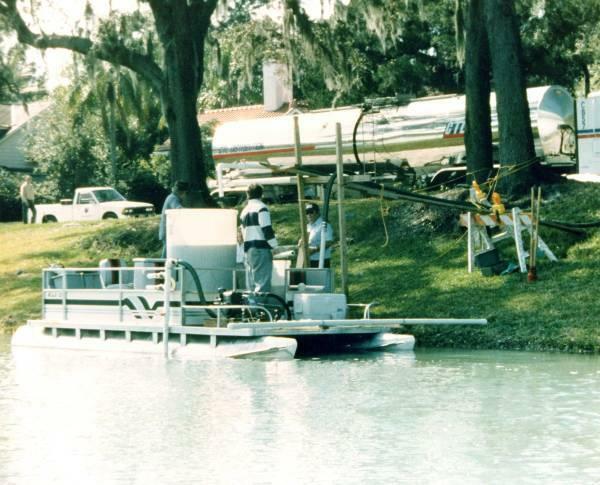 An alum application was conducted to Lake Davis to convert sediment phosphorus found in either saloid or iron-bound associations into more stable associations with aluminum. A new direct methodology was developed for estimation of the required alum dose based upon the average available phosphorus content in the 0-5 cm layer of the sediments, assuming a molar Al:P ratio of 2:1 for inactivation of sediment phosphorus. This evaluation indicated that a total of 49,065 moles of available phosphorus existed in the top 5 cm of Lake Davis which required 2,653 kg of aluminum for inactivation. An alum dose of approximately 22 mg/l Al was applied using a combination of alum and sodium aluminate. Water quality improved immediately following the application, with total phosphorus reduced from 201 Î¼g/l to 15 Î¼g/l and Secchi disk transparency increasing from 0.3 m to 2.1 m. However, water quality deteriorated gradually to near pre-treatment levels over a period of one year. Follow-up sediment speciation and testing indicated a low potential for release of phosphorus from the bottom sediments and continued sediment inactivation.